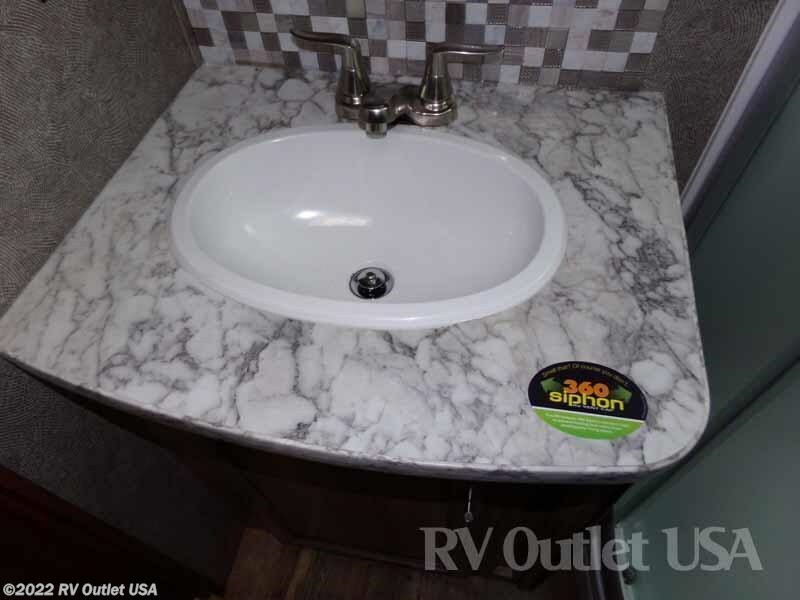 SOLID SURFACE COUNTER TOPS ** 50 AMP SERVICE! 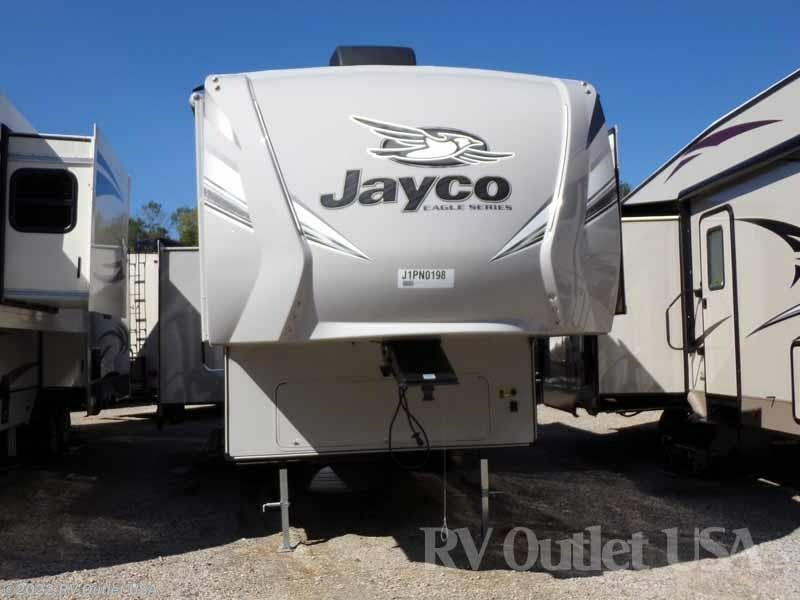 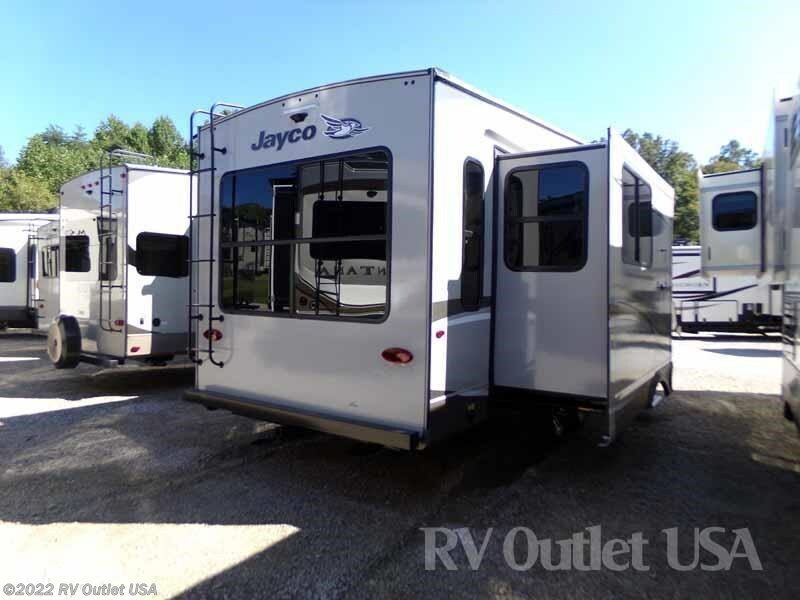 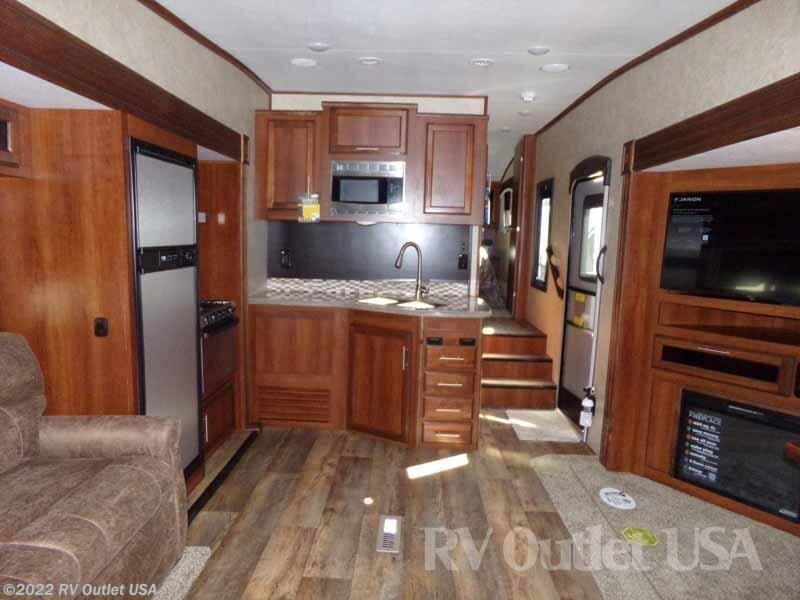 Here's one of Jayco's most popular rear lounge 5th wheel floor plans, the brand new 2018 Jayco Eagle HT 27.5RLTS! 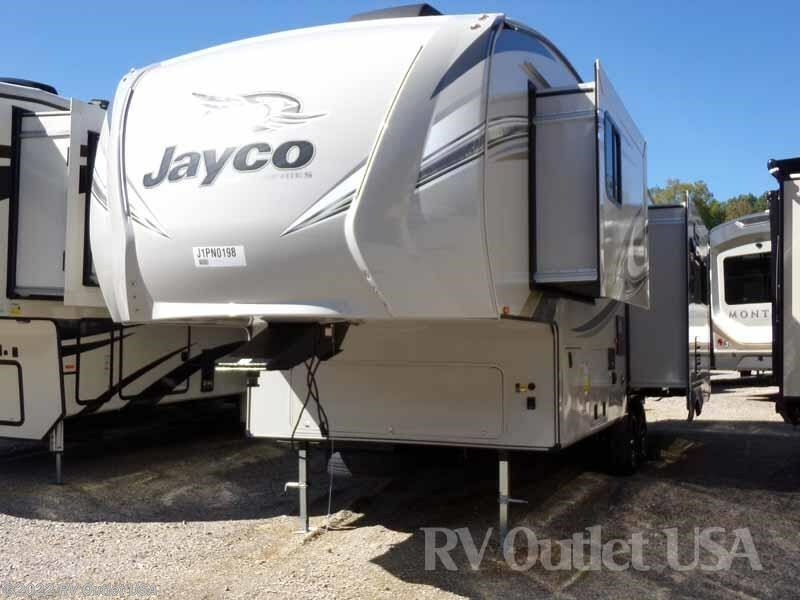 What makes this 5th wheel so popular is, not only does it have a ton of super nice features and built with quality like it's big brother Eagle, this Eagle HT can be pulled by 1/2 ton truck! 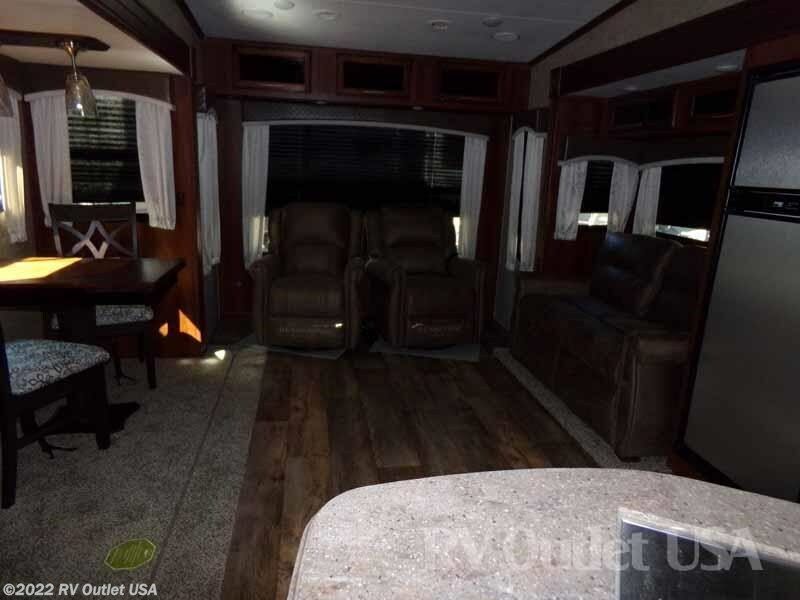 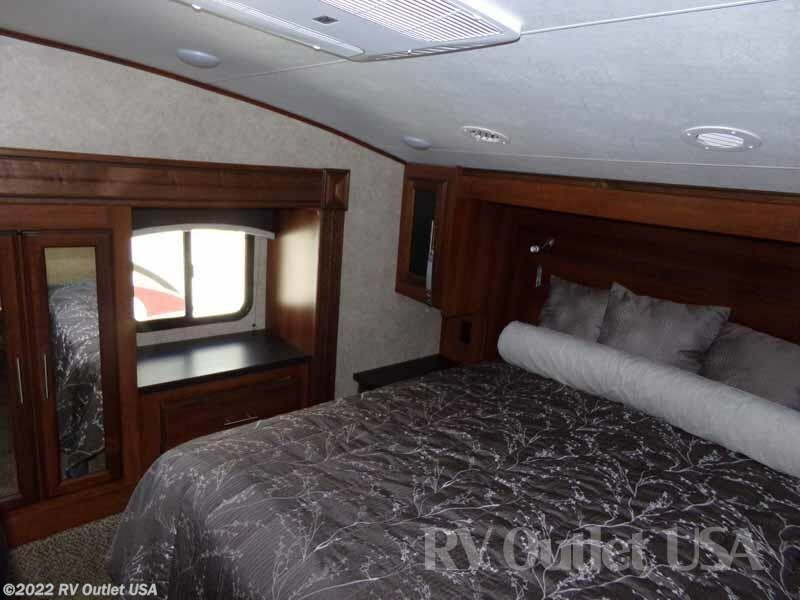 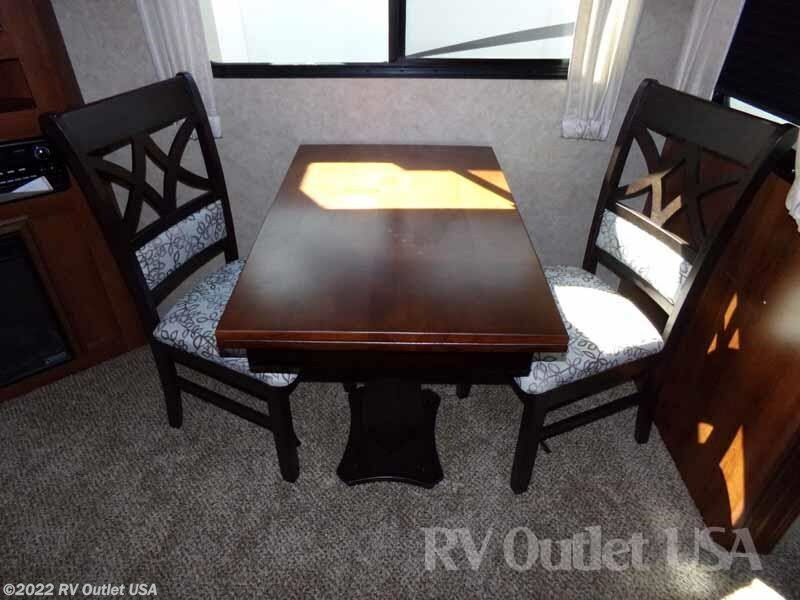 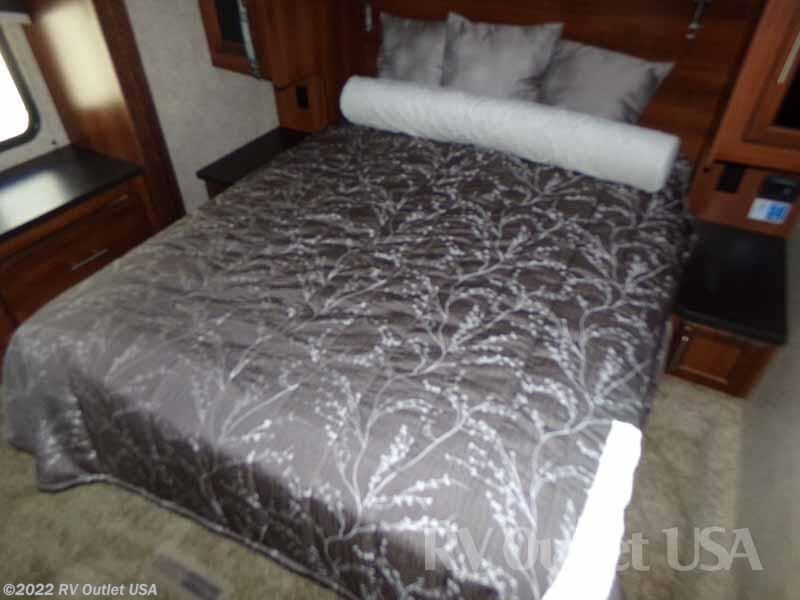 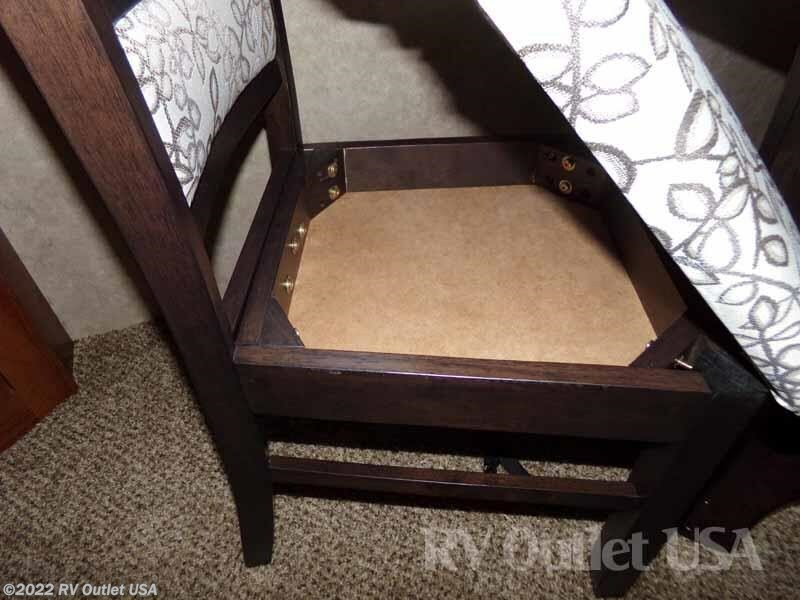 This coach has a walk around queen bed in the front with wardrobes on both sides and overhead cabinetry, and has a large wardrobe slide on the off door side in the master bedroom which has a linen closet, a wardrobe and a dresser built in. 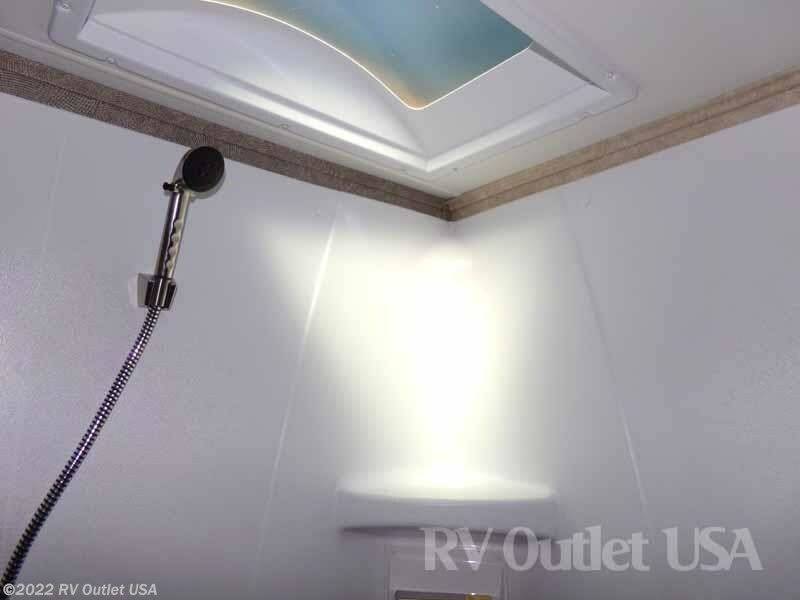 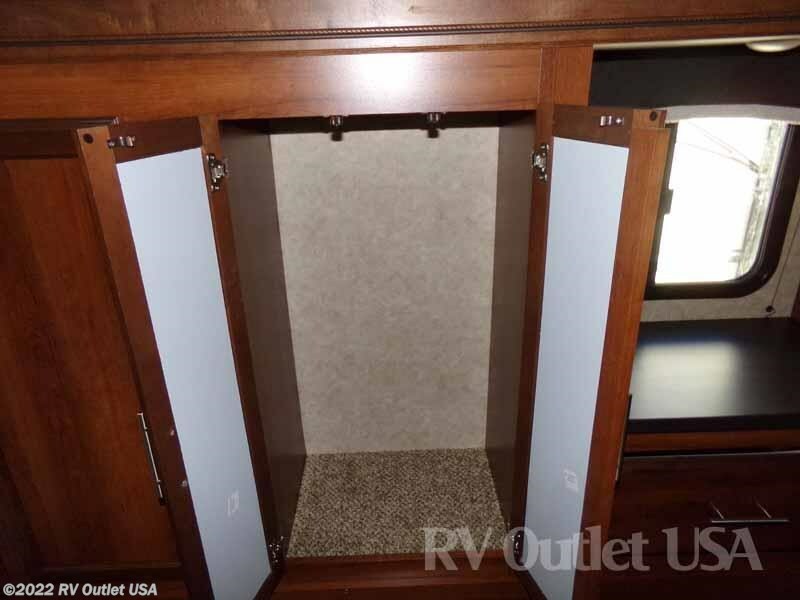 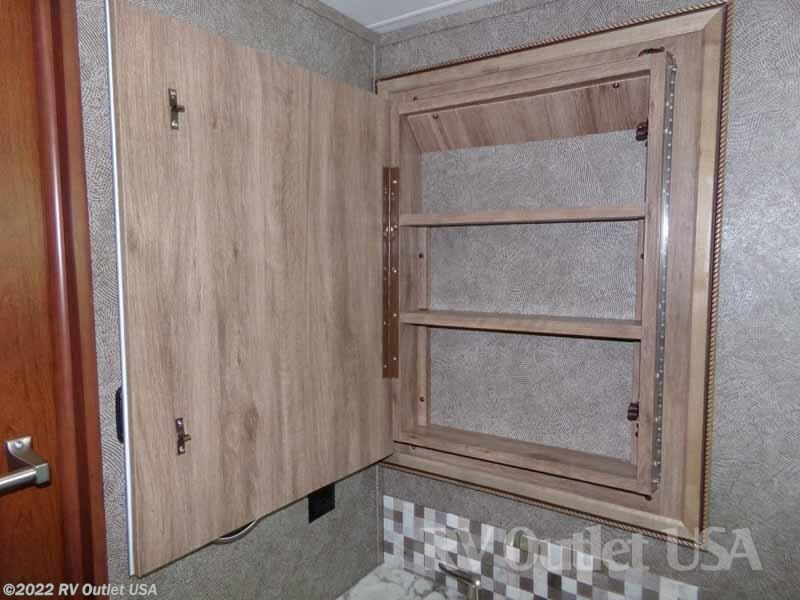 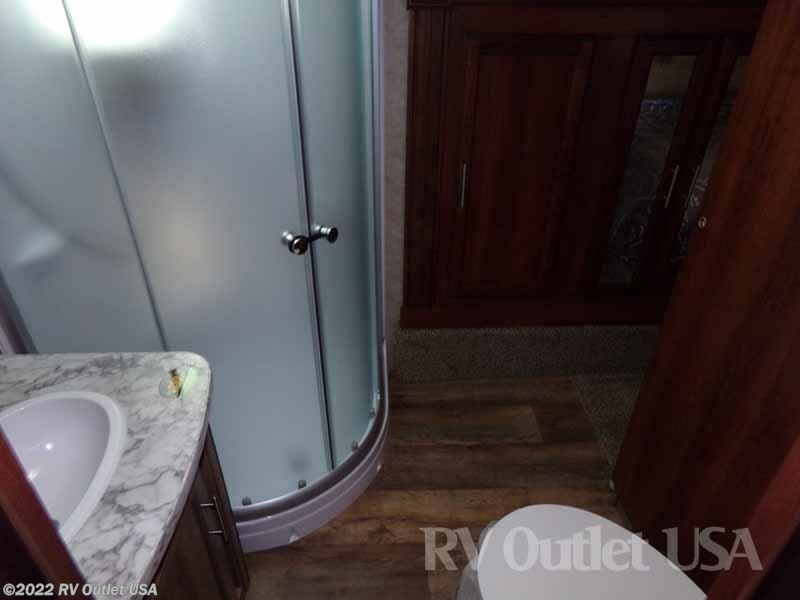 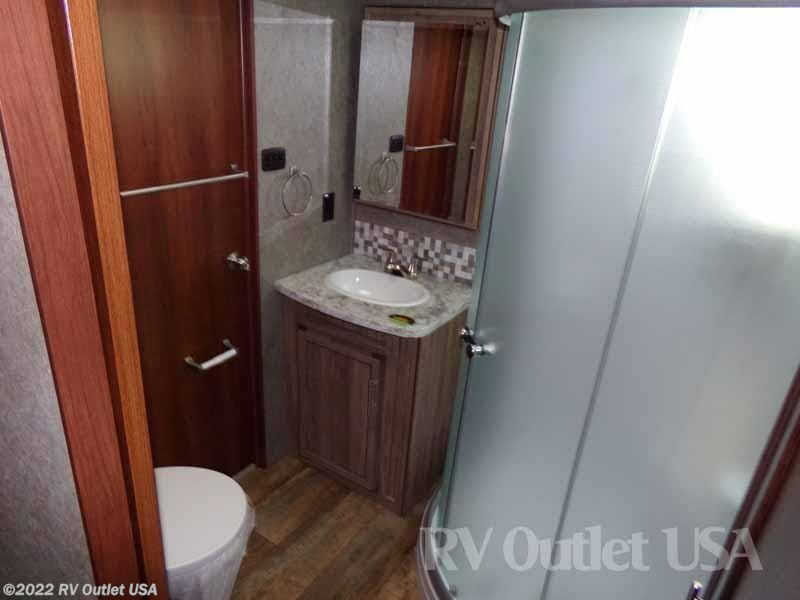 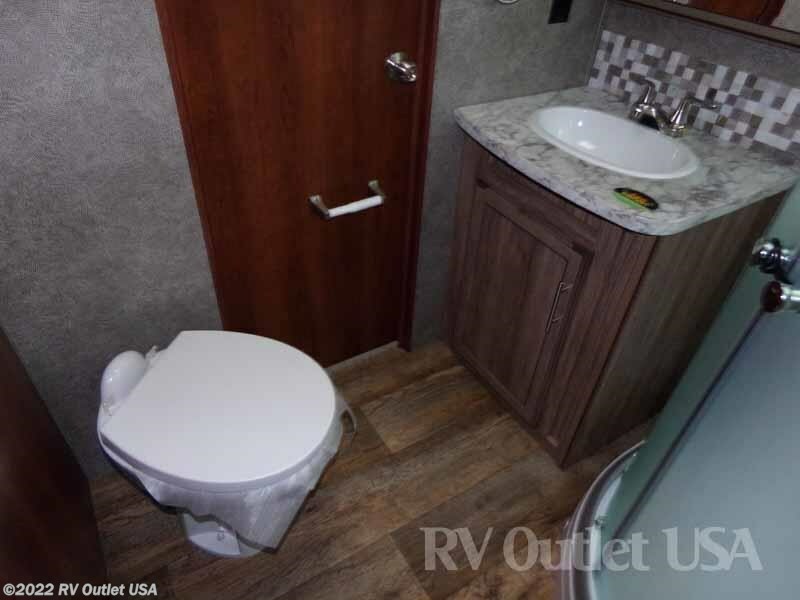 The 27.5RLTS also has a side aisle bathroom with a radius shower with glass enclosure, toilet, sink with underneath storage, and a lighted medicine cabinet all in one room for privacy! 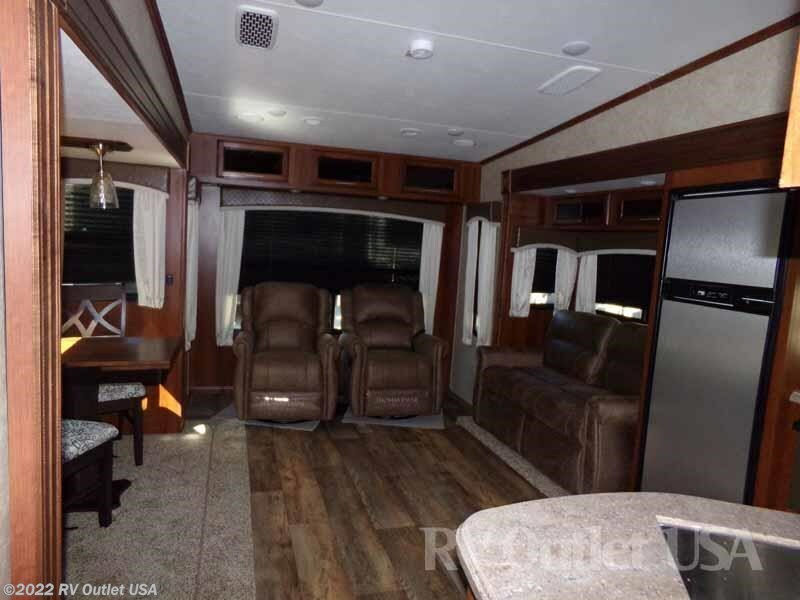 The living area on this coach is huge because of the two opposing slide outs. 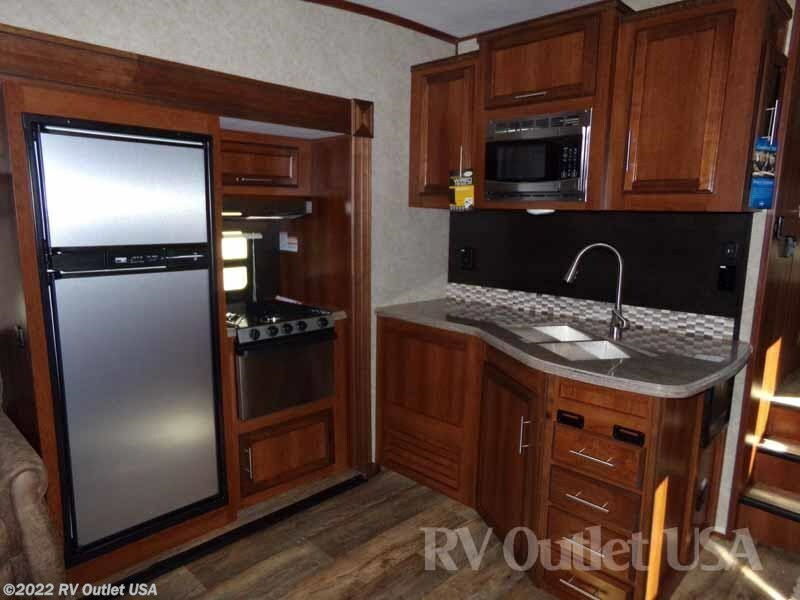 The slide on the off door side has the double door refrigerator, three burner stove top, and overhead microwave, and an oven. 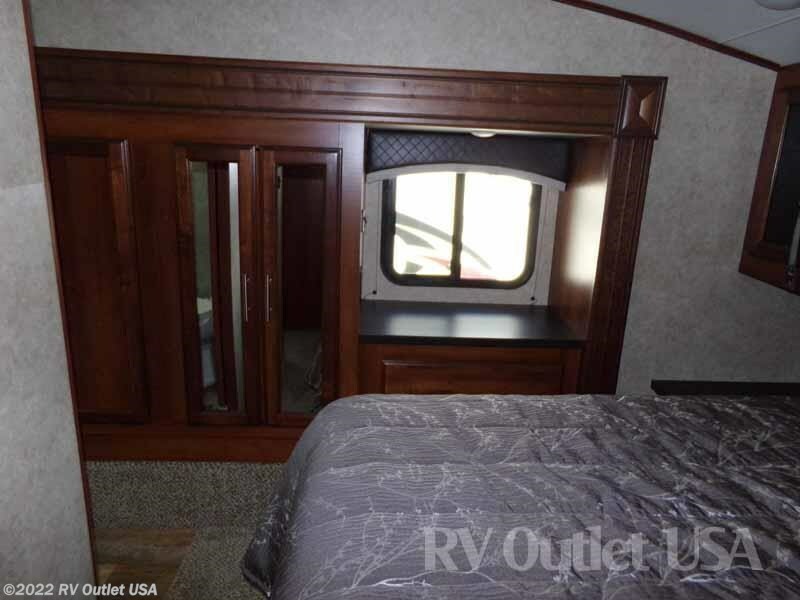 To the rear of that slide is the hide-a-bed sleeper sofa. 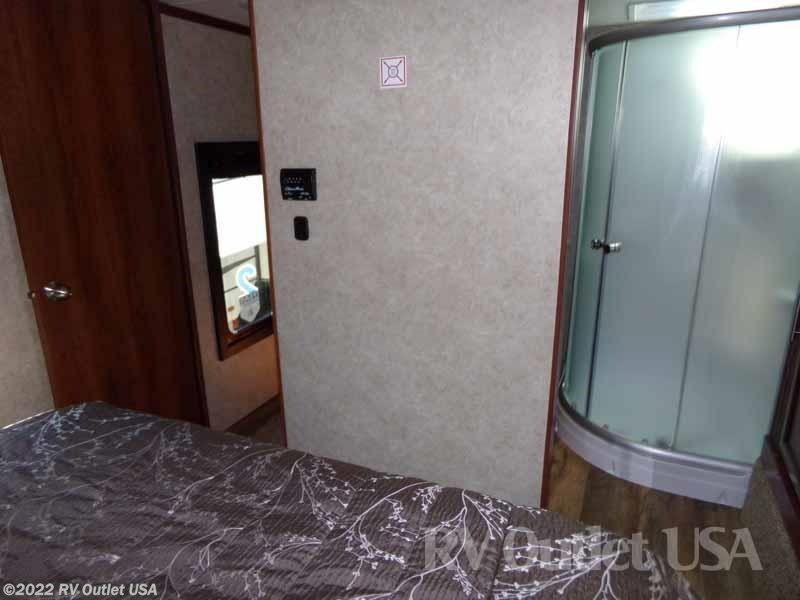 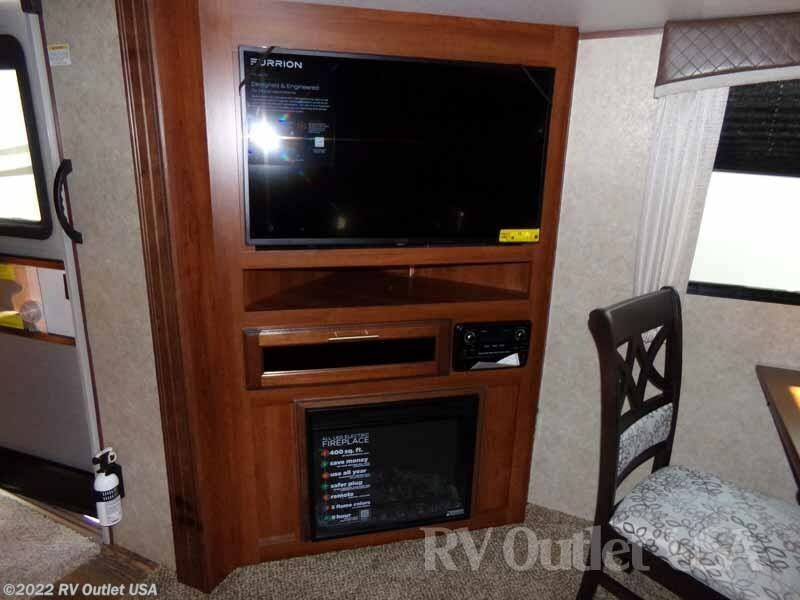 The slide on the door side has the entertainment center with a large LED TV and below that is the electric fireplace and to the rear of that slide is the dinette. 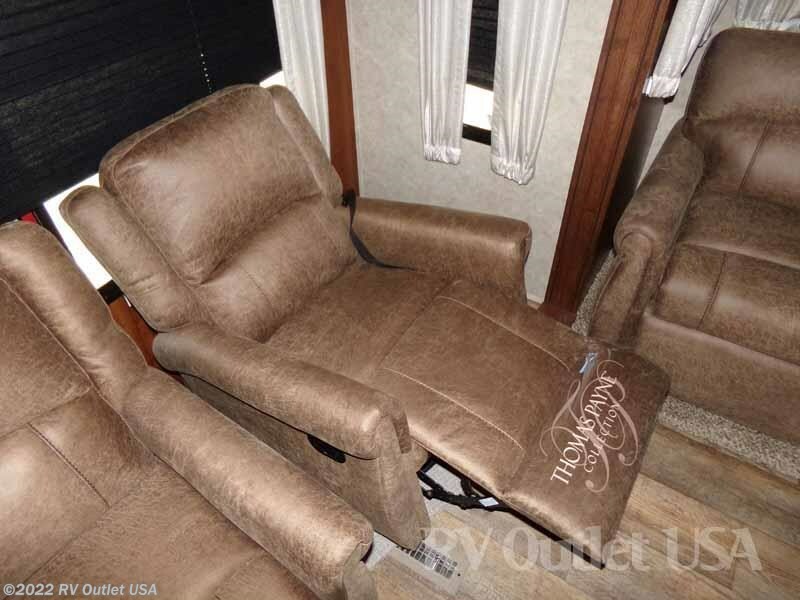 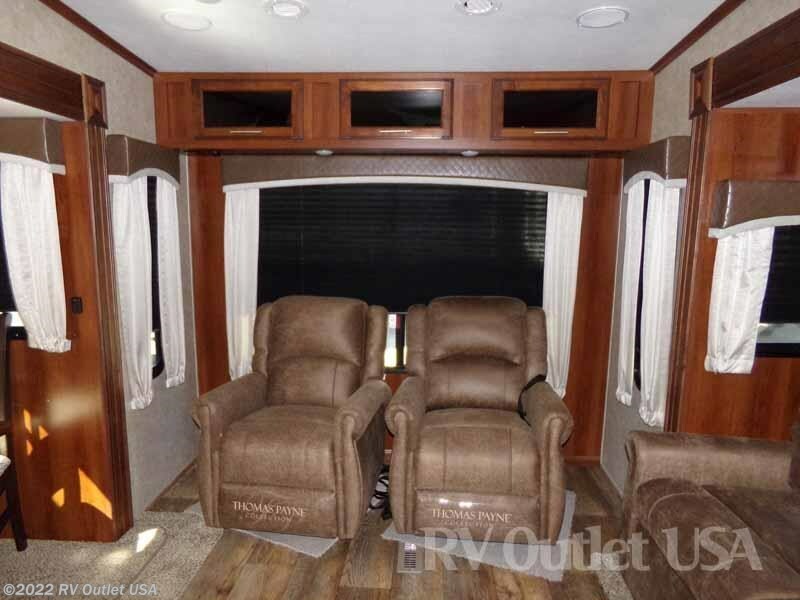 In the rear the coach, it has (2) rockers rocker recliners underneath the large bay window! 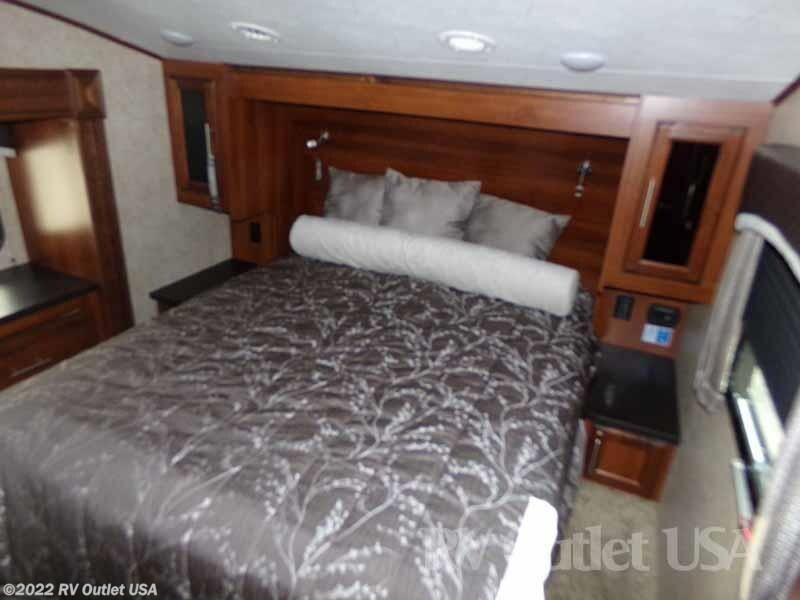 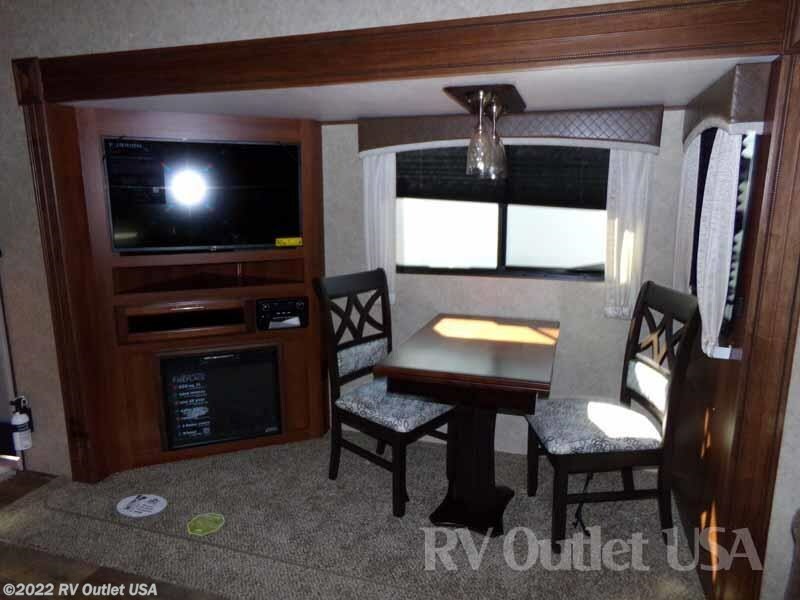 Again it's a really nice floor plan and again, weighing only 7,865lbs, it's 1/2 ton towable!. 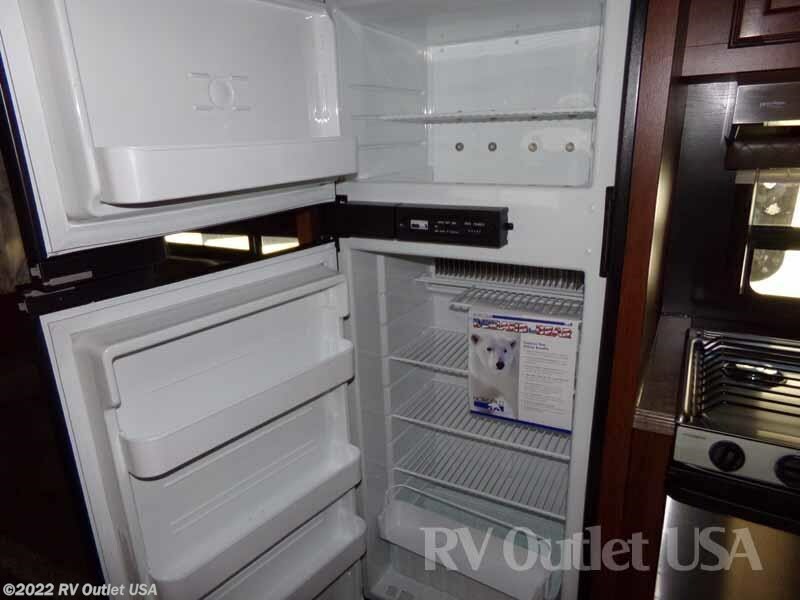 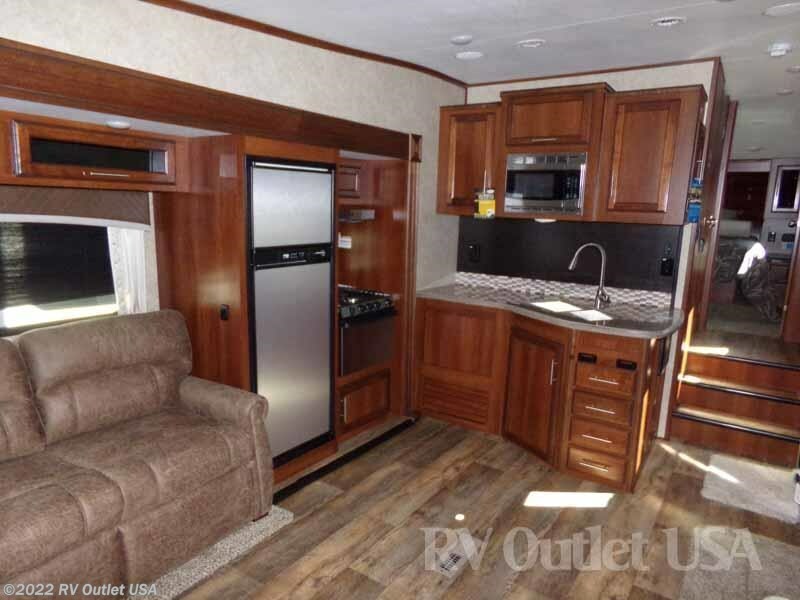 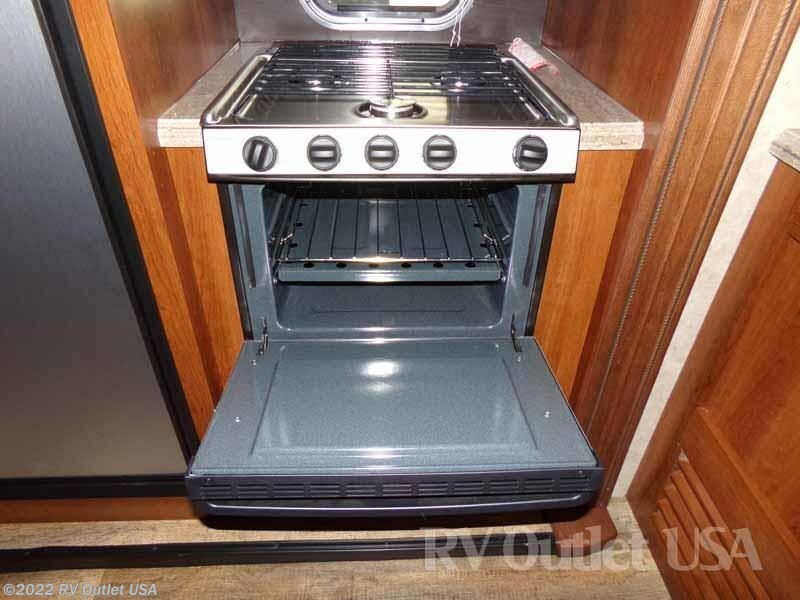 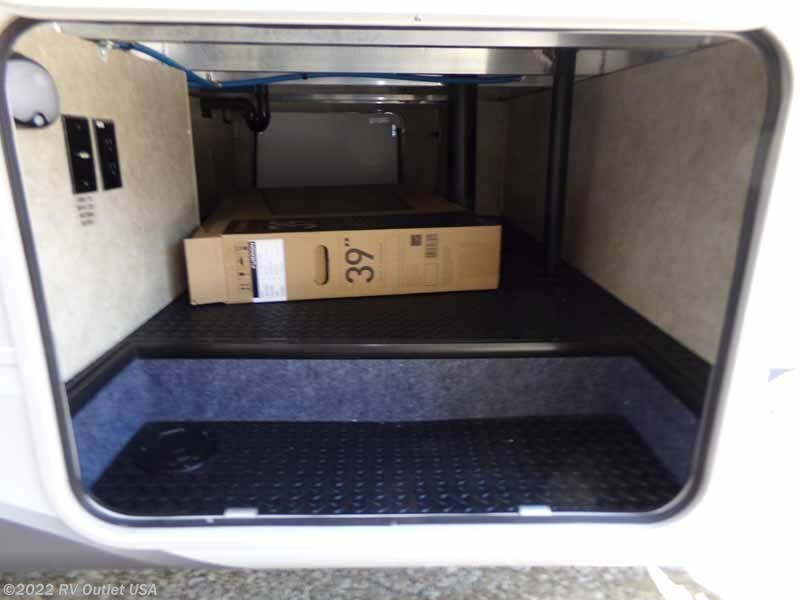 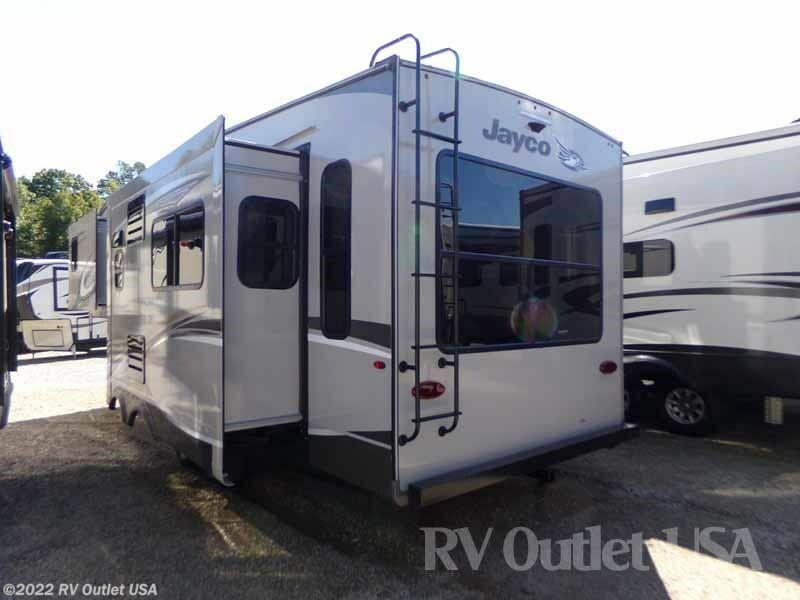 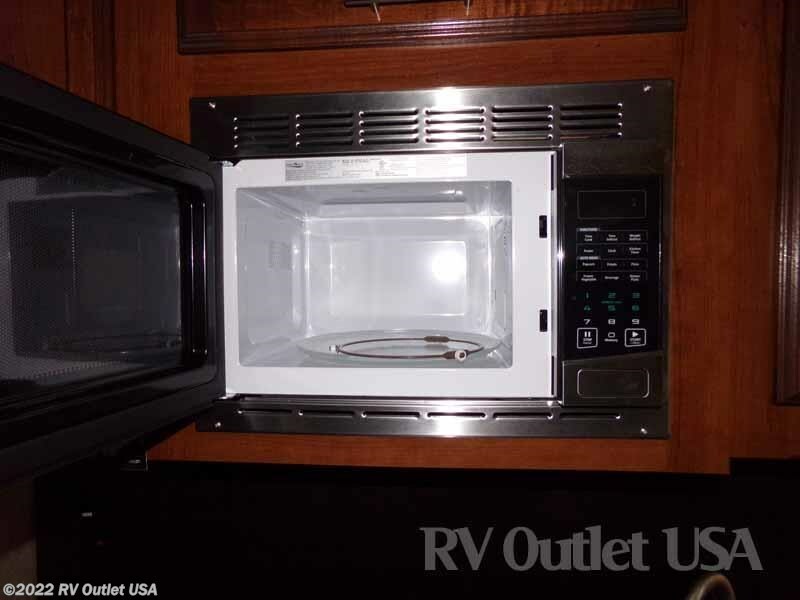 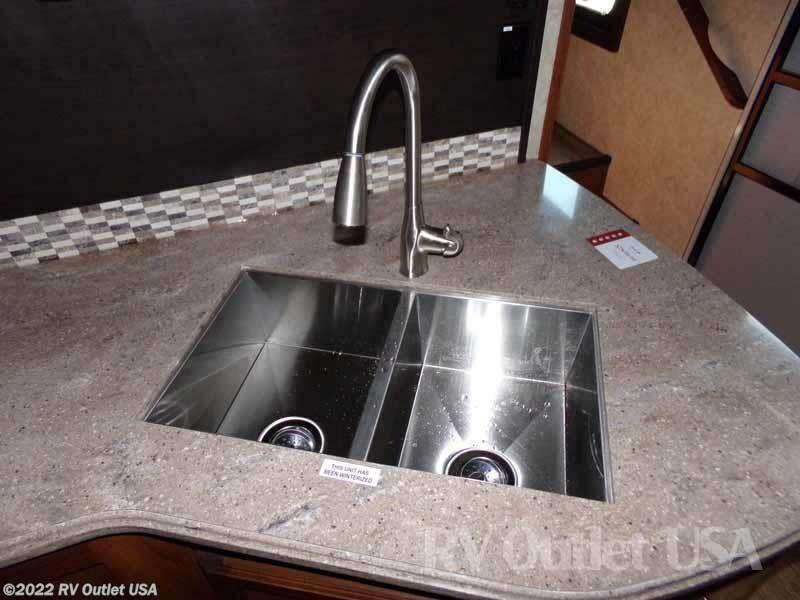 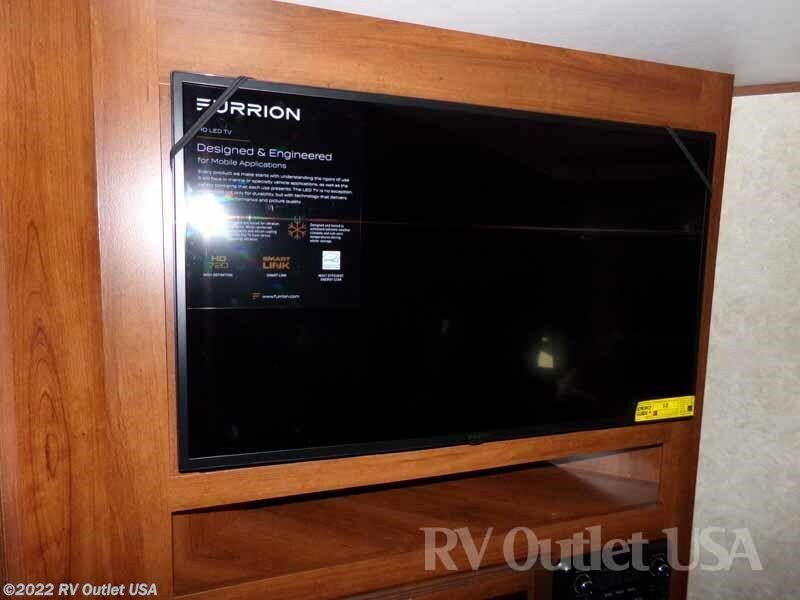 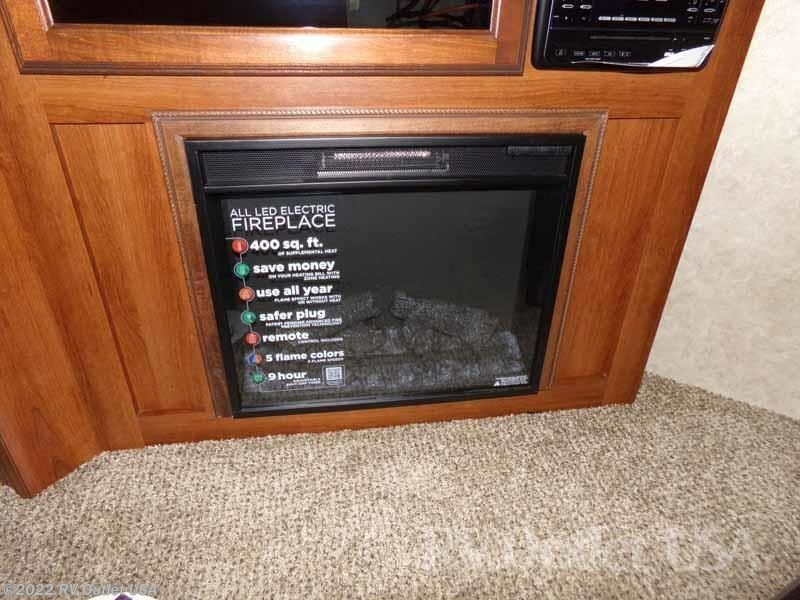 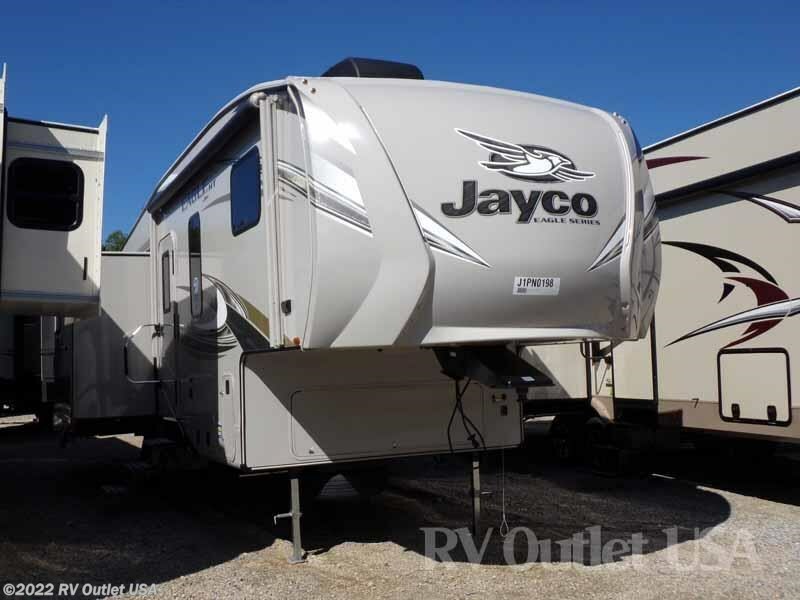 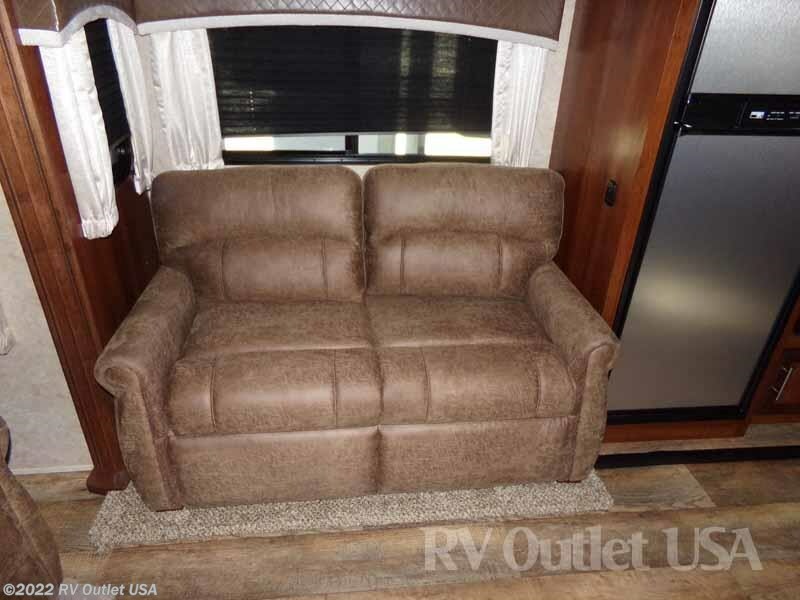 Here's a list of the options that were ordered on this Jayco Eagle HT 27.5 RLTS. 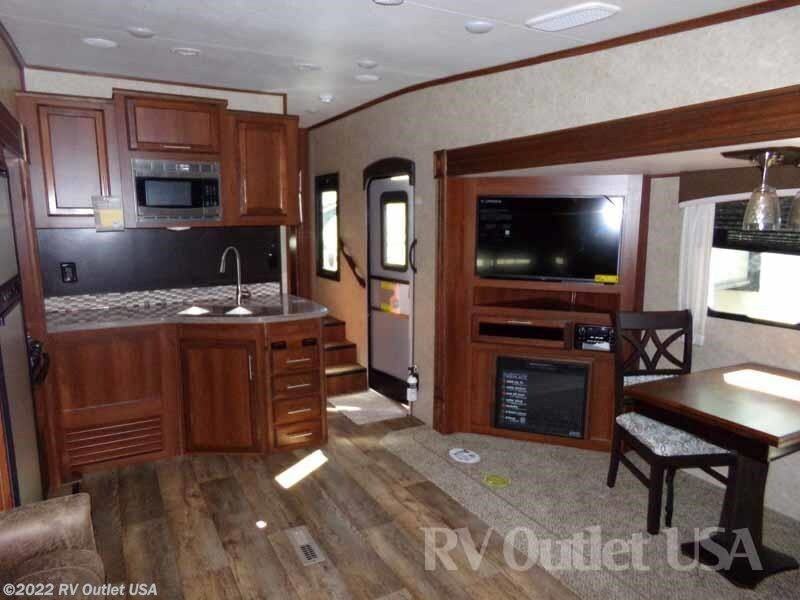 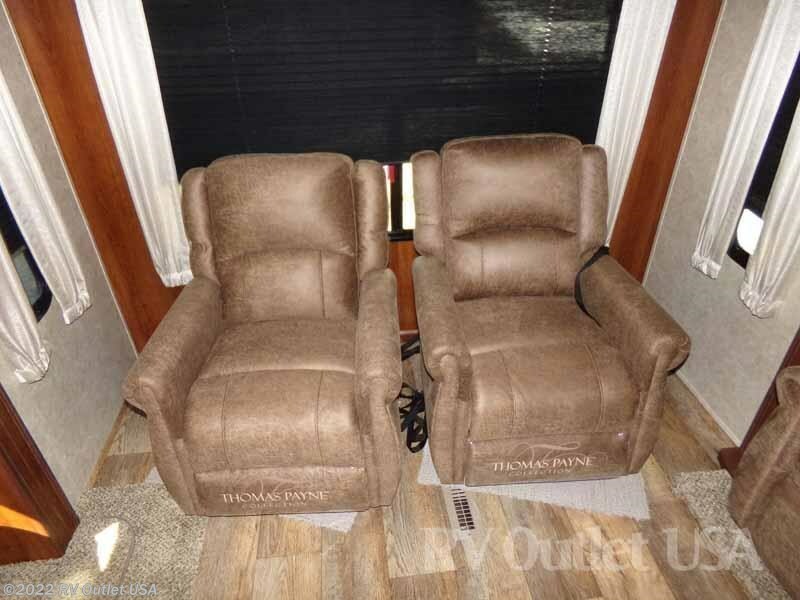 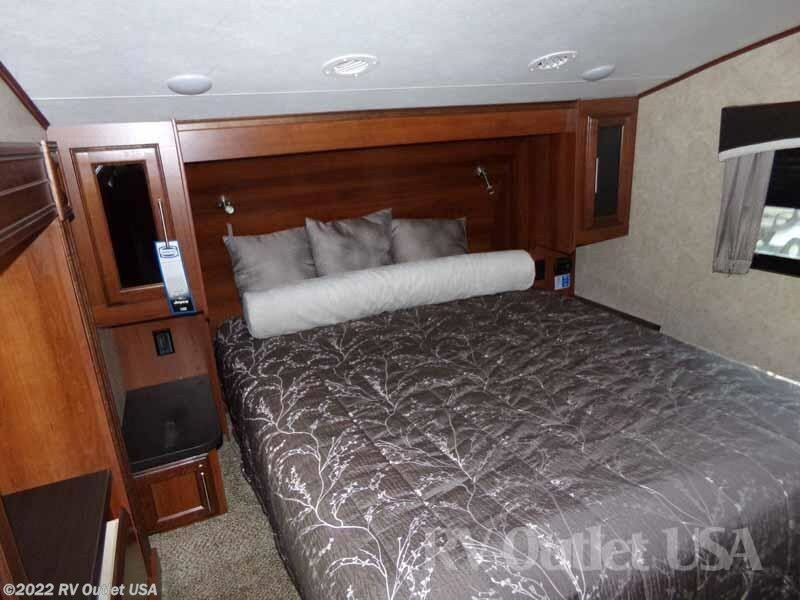 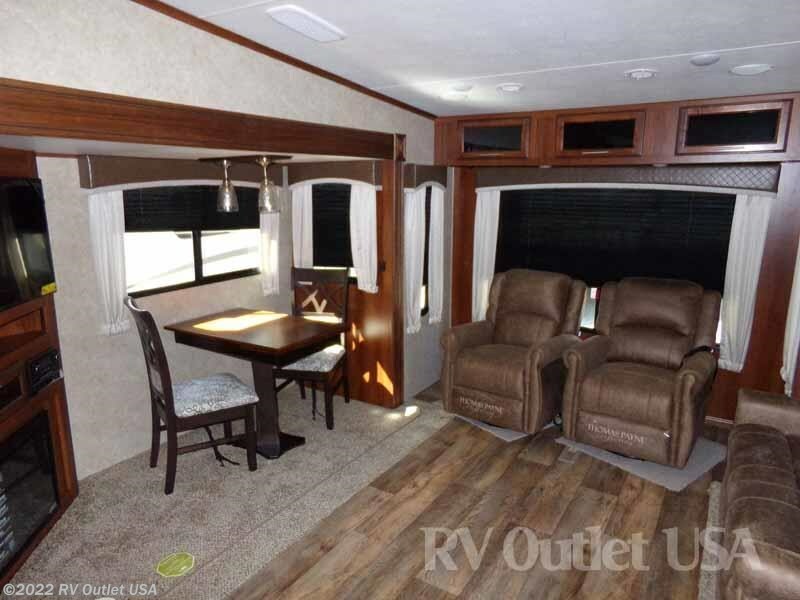 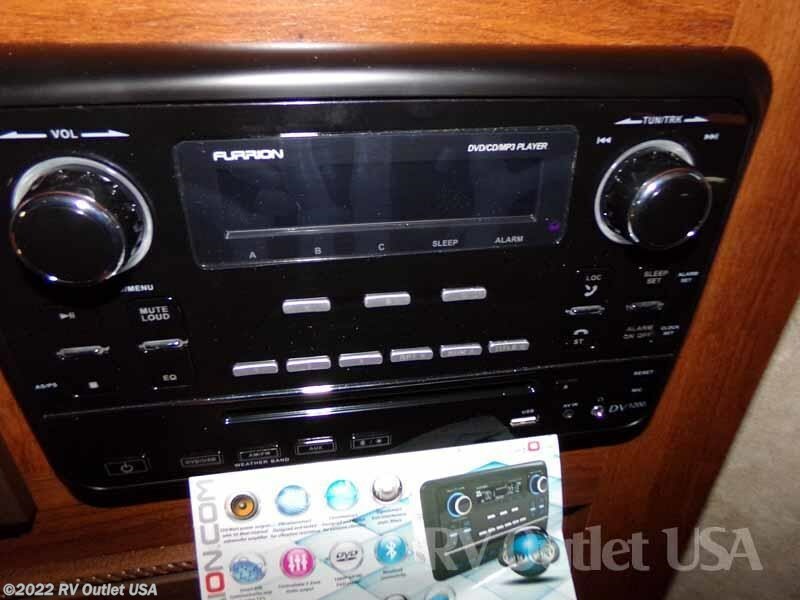 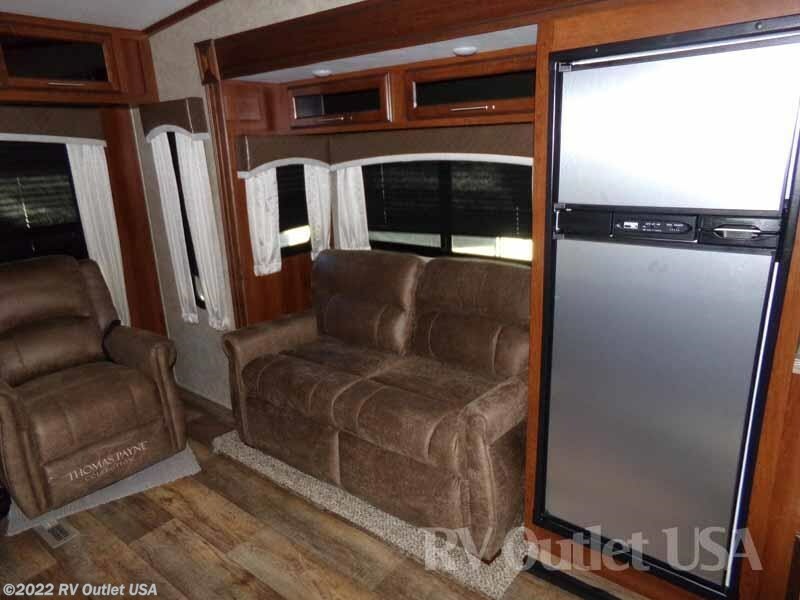 The interior color is Chestnut, it has the CVP (customer value package), with the upgraded 15K BTU air conditioner, 50 amp service with second A/C in the master bedroom, an electric fireplace, solid surface counter tops in the kitchen, power stab jacks, and power front landing gear. 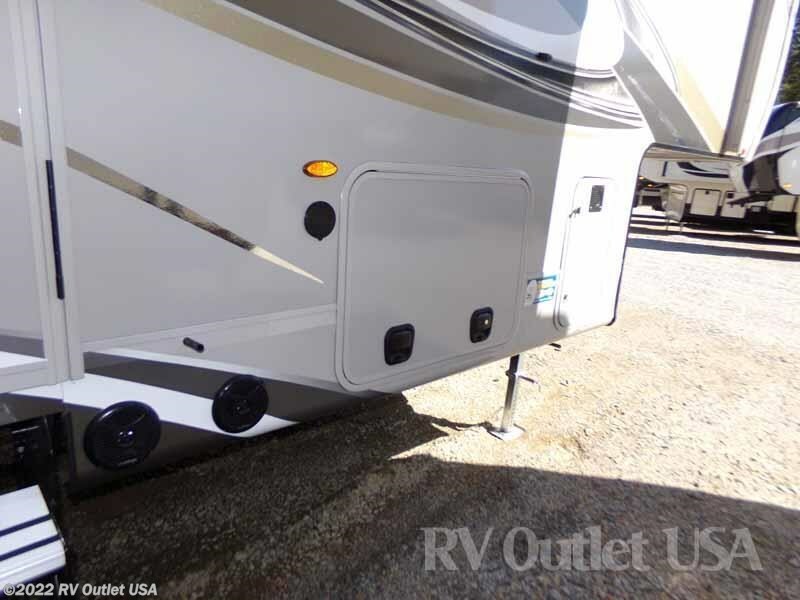 If you have any questions at all, please give us a call at 888-299-8565 and ask her fifth wheel sales. 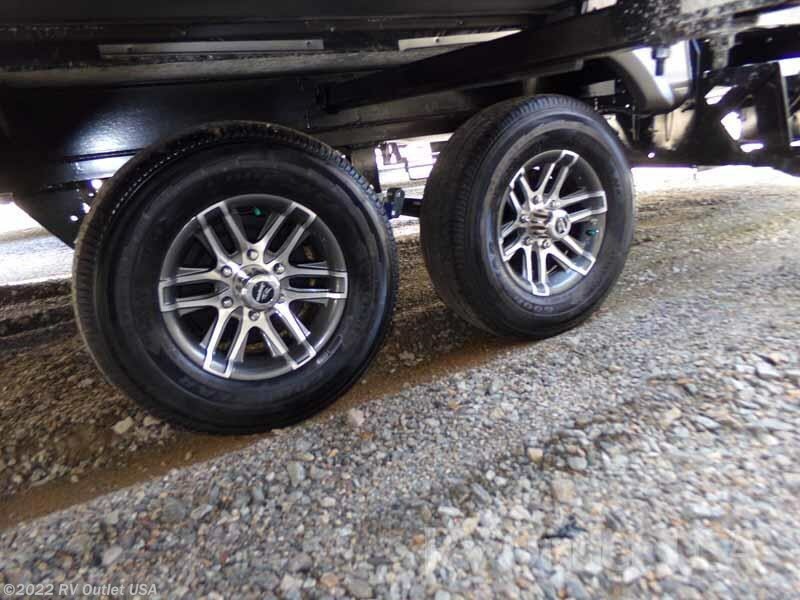 Please keep in mind we have NO document, prep, PDI or transportation fees and we always offer our customers huge discounts on fifth wheel hitches, installation, parts and accessories! 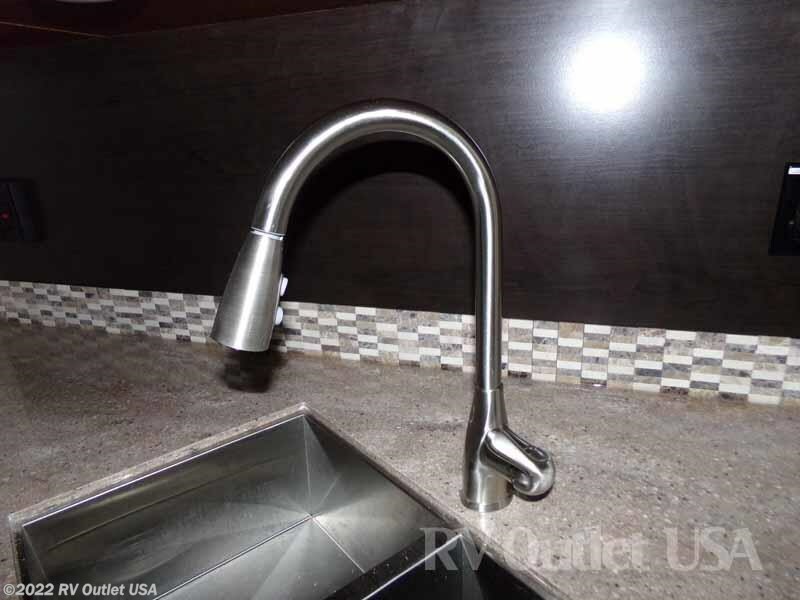 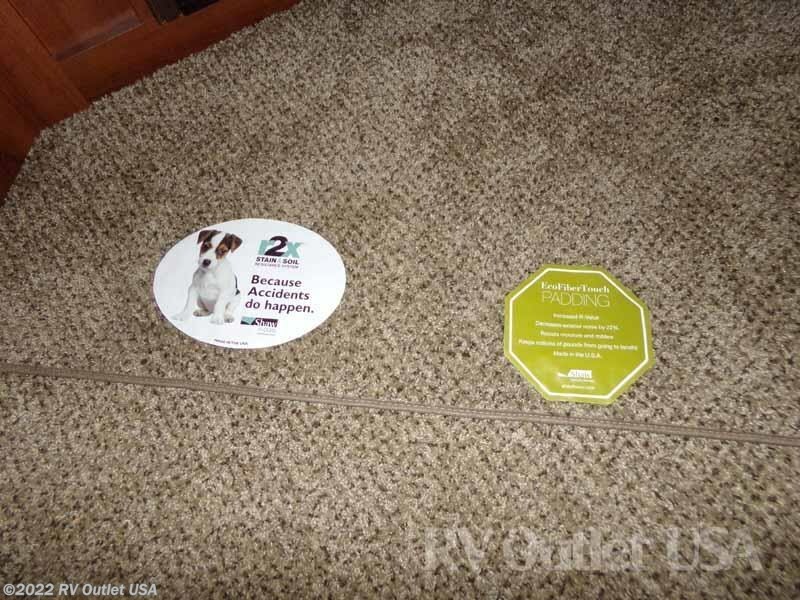 Give us a call, we'll try hard to earn your business.